AMC’s pop-cultural phenomenon and television’s first zombie opus The Walking Dead has just splattered the rotten dome of its ninth season all over our screens and I’m here to help you clean up the mess. After beginning the series red hot and stringing together five consecutive seasons that ranged from good to great, the past few have been, to varying degrees, less than stellar. The first half of season nine was among the worst semi-seasons in series history. So, you’d think that means there’s nowhere to go but up, right? When last we left our heroes things were a little crazy, like, people-wearing-zombie-faces-to-blend-in-with-real-zombies crazy. These live, talkie walkers (walkie-talkies?) are known as the Whisperers. Ostensibly, it’s because they must whisper to one another lest they tip-off the real walkers and get devoured. However, this rule’s broken any time the plot requires it, so the Whisperers moniker shouldn’t be taken literally, I guess. After our heroes’ first deadly encounter with the Whisperers at the cemetery during the midseason finale, Michonne (Danai Gurira), Daryl (Norman Reedus), and the others kidnap a teenaged Whisperer named Lydia (Cassady McClincy) and escape back to Hilltop. At Hilltop, young Henry (Matt Lintz) has been jailed for partying (savage!) and Lydia gets incarcerated in the next cell. The Hilltop jail is basically an expository set-piece, and naturally Henry and Lydia become smitten as they share lots of backstory with us. 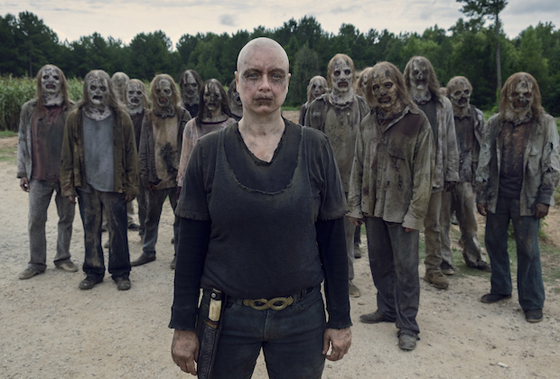 The important bits are that Lydia’s mother is called Alpha (Samantha Morton) and she’s the leader of the Whisperers. Now that Lydia’s been captured, she’ll be abandoned by her weird, dead-skin-mask wearing kin — except when the plot requires otherwise, again — because soon, Alpha shows up to take Lydia back. 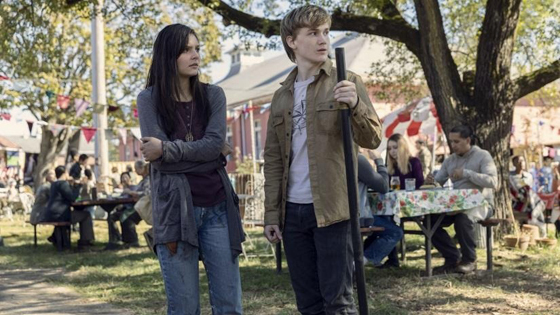 Henry can’t abide this loss, so he and his hormones team up and go after Lydia. Daryl and Connie (Lauren Ridloff) follow him. Henry finds Lydia, but they get waylaid by Beta (Ryan Hurst), Alpha’s right-hand man, setting up a battle between Daryl, Connie, Henry, and Lydia on one team and Beta, who’s apparently the world’s most robust dead guy when he’s in his Whisperer garb, on the other. Anyway, our heroes win this one and escape. All the while, King Ezekiel (Khary Payton) and Queen Carol (Melissa McBride) are planning to host a trade fair between the communities at the Kingdom. However, Michonne’s not into it, nor does she want anything to do with anyone outside of Alexandria for any reason. In fact, Michonne’s estrangement is a season-long subplot that makes little sense, but it does adhere to what the past few seasons have done, namely relying on our heroes’ inexplicable, plot-inspired inaction to provide tension. Over the past few seasons we’ve seen it with Rick, Carol, Morgan and others. Eventually, after six frustrating episodes, we’re given an extended flashback that ham-handedly explains Michonne’s aversion to her friends. It’s best to just describe her rationale as goofy and leave it at that. After we find out why we had to endure six episodes that set aflame years of Michonne’s characterization, she has a change of heart and agrees to attend the trade fair. The trade fair seems like a hit, however, Alpha infiltrates it and finds Lydia so that she can disown her…again, I guess. 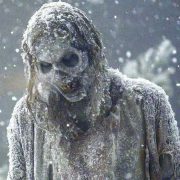 And later Alpha shows Daryl a huge horde of walkers trapped in a quarry and threatens to unleash them on the communities should anyone encroach on a set of arbitrary borders the Whisperers have established defining “their” territory. 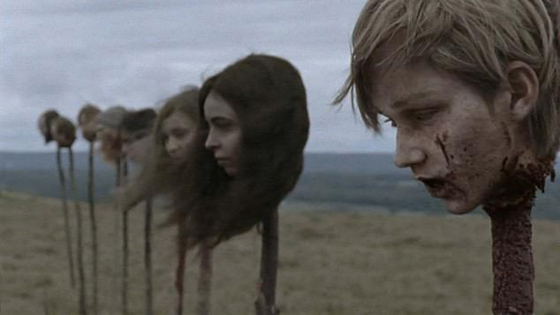 As our heroes return home, they discover Alpha’s border marked by ten stakes each adorned with a human head, including those of Henry, Enid (Katelyn Nacon), and Tara (Alanna Masterson). 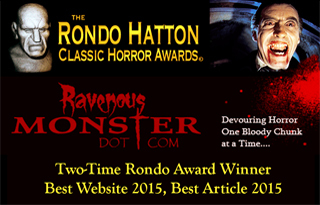 This entire massacre, including its setup and its aftermath, all happen entirely offscreen…again. The finale foists another time jump of indeterminant length upon us, or as I shall henceforth refer to them: a “Kang.” The Kingdom has fallen, and an enormous snow storm forces our heroes to retreat to Hilltop and Alexandria by cutting through Whisperer territory. They make it. And that’s that. It’s an understated, fairly well-executed episode, but as finales go, it’s about as underwhelming as anything this series has thrown against the wall yet. Additionally, somewhere in there young Judith runs into the blizzard to find Daryl’s dog, prompting yesteryear’s bad guy Negan (Jeffrey Dean Morgan), who’s been let out of his jail cell to seek shelter from the storm with the others, to risk life and limb and rescue her. Like nearly everything else this season, this quick and dirty Negan rehabilitation subplot stretches the bounds of plausibility, especially if you were awake while seasons six through eight were playing on your TV and Negan was clubbing our heroes to death like seals in front of their friends, families…pregnant wife, even. It’s indicative of what plagues this series the most right now. Everything is overtly written in service to the plot with very little effort to make things feel organic or even maintain continuity. As such, the show has abandoned all sense of internal logic. 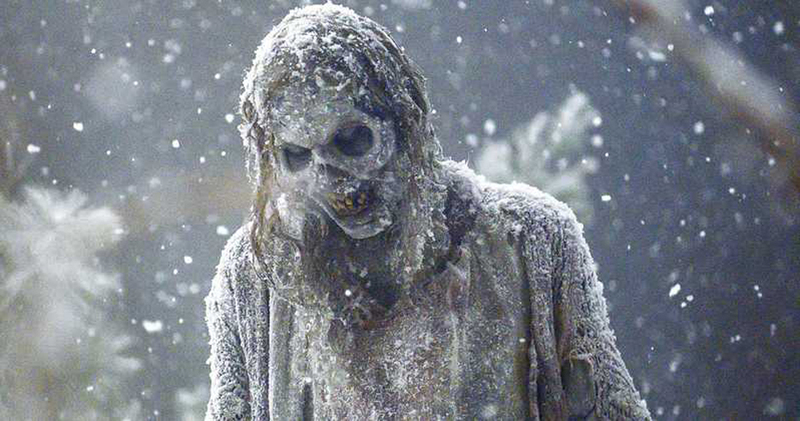 For multiple years now, The Walking Dead has undermined its own rules and characterization from season to season, episode to episode, hell, even within individual episodes (here’s lookin’ at you, sometimes-frozen/sometimes-not-frozen blizzard zombies). But this season has been the most egregious, by far, and unfortunately this type of lazy storytelling is disengaging. To be fair, all narrative writing is in service to a plot. However, good writing is like good magic. Magicians aren’t actual wizards hanging out at kids’ parties. They’re merely tricking you into seeing “magic.” If you can’t detect the sleight of hand, well, that’s good magic. Similarly, good writing obscures the mechanics required to move a character from point A to point B along their narrative arc. You’re being manipulated. Once you know it, though, the jig is up. The other major problem with this season is the ridiculousness of its antagonists. The idea of the Whisperers is a really tough sell. It works in the comic books because comic books don’t represent reality with the same fidelity that film does. However, live-action shatters the suspension of disbelief required for the Whisperers concept to work. The ability to manipulate hordes of walkers is certainly cool on its face, but the logistics of such an operation quickly fall apart once you realize that in order to do so, the Whisperers must travel among the ravenous dead, limping and moaning, and unable to effectively communicate or even move from place to place. No wonder so much of their shenanigans take place off screen. And when you get down to it, Alpha’s a frumpy, middle-aged bald lady with a personality disorder. The intimidation factor is nil. She elicits equal parts annoyance and pity. Not fear. The Walking Dead is now ironically shambling on long after it has died. Some of the cast know it, obviously, since a few of the principal players have removed themselves from the series. Many of the fans know it too as evidenced by slumping ratings. It’s time for The Walking Dead to look for a way to go out with a bang before the show’s well-earned legacy gets swallowed up by the same cynical cash cow that’s devoured the quality of the past few seasons.